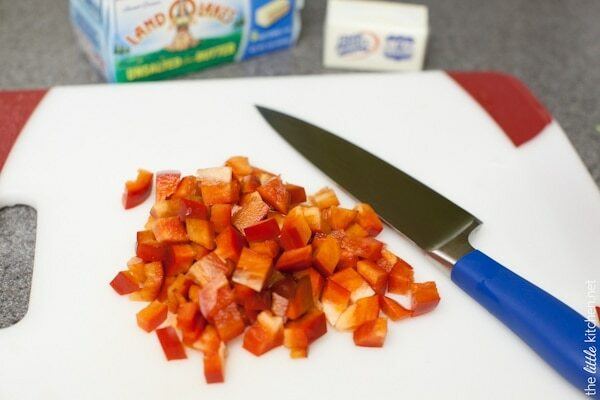 I’m having more fun working with Land O’Lakes (Kitchen Conversations) on this recipe! I’m a huge fan of butter, let’s face it: I love all kinds of butter. And brown butter? I’m an even bigger fan. Brown butter gives dishes a nutty AND buttery flavor. I have been wanting to make a dish with gnocchi for a while now. 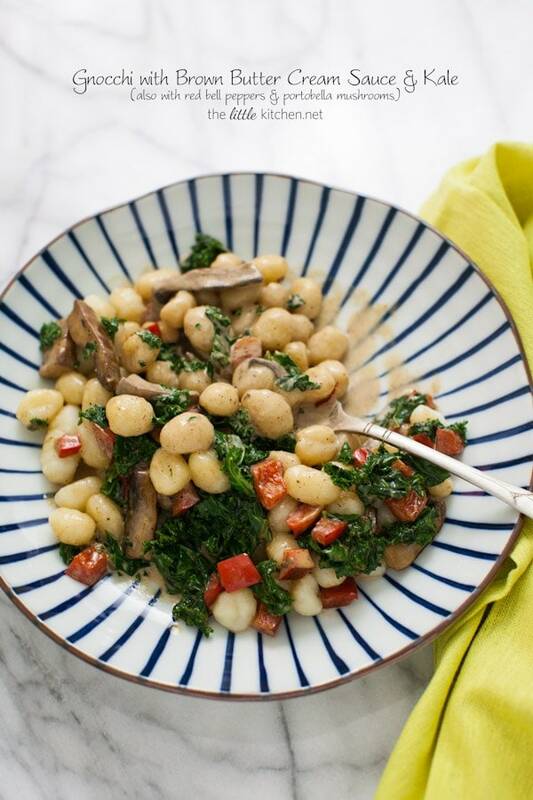 So why not combine brown butter and gnocchi? I’m still scared to make it from scratch so store-bought for now and huge bonus is this dish only takes less than 30 minutes to put together! I’m so excited about being a part of the Land O’Lakes Pin a Meal. Give a Meal. campaign for Feeding America®. Feeding America® does such amazing and important work, and I’m thrilled that Land O’Lakes asked me to be a part of helping to bring awareness to hunger in America and help donate meals. We need your help! For each recipe pinned or repinned, Land O’Lakes will donate nine meals to Feeding America®. You can pin this recipe right here on The Little Kitchen to donate. It’s that simple. 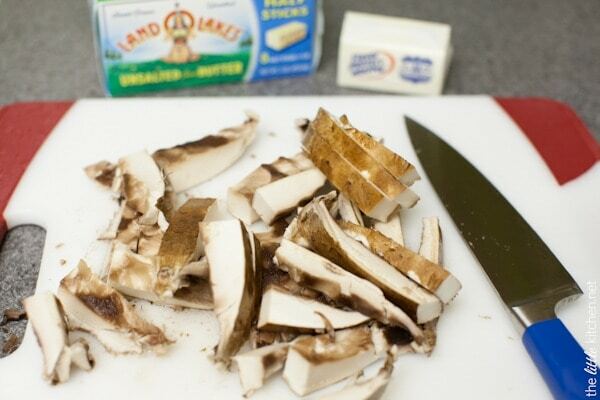 To help even more, pin or repin any recipe from Land O’Lakes between now and May 31, 2014. If you love Pinterest as much as I do, this program makes it so easy to help a good cause. 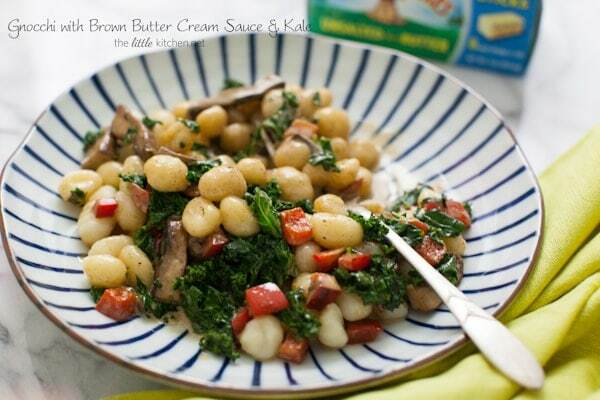 Here’s how to make this delicious Gnocchi with Brown Butter Cream Sauce & Kale. 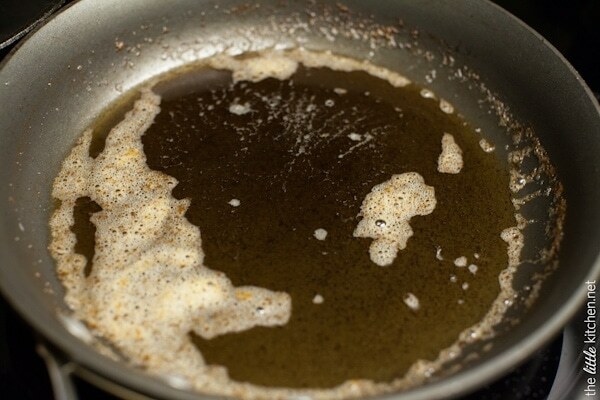 First, let me show you how to brown butter. 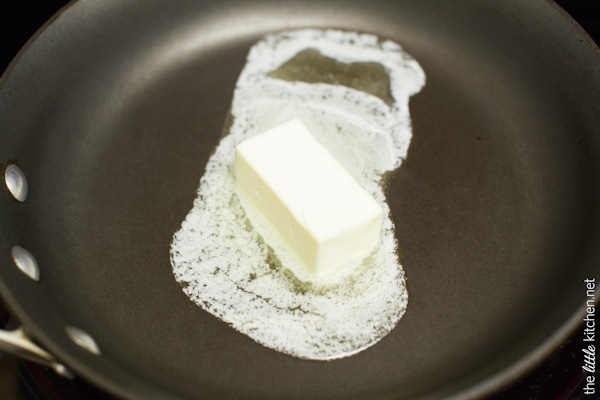 Melt a Land O Lakes® Unsalted Butter Half Stick on medium heat in a nonstick skillet. It will start foaming. Don’t walk away! 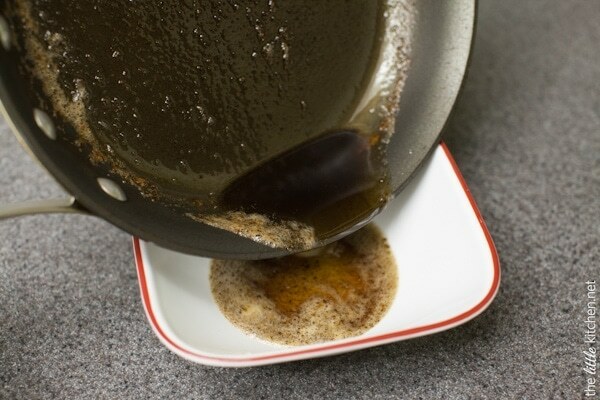 A few minutes later, you have brown butter. Butter can burn easily so watch it carefully. Remove from the skillet and set aside. 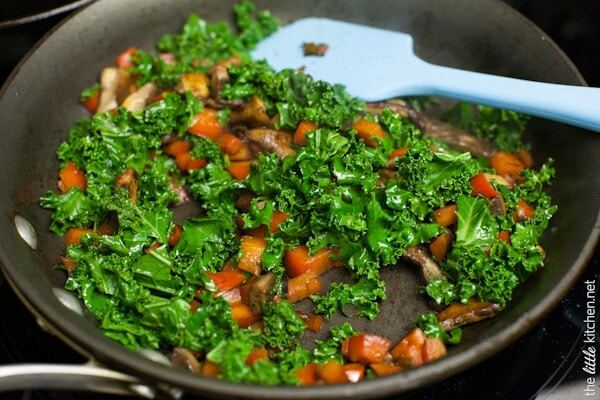 Don’t put that skillet away, you’re going to use it to cook the veggies. 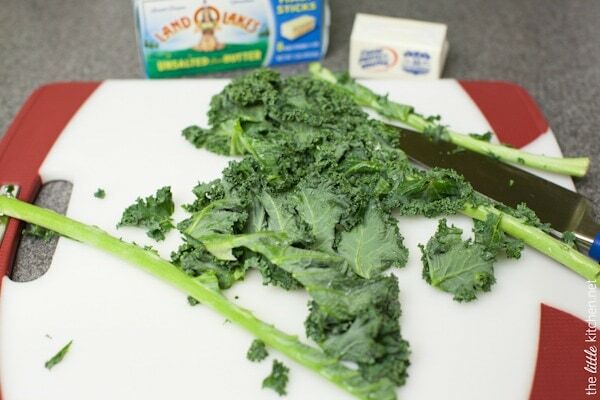 Remove the stems from the kale and chop the leaves. 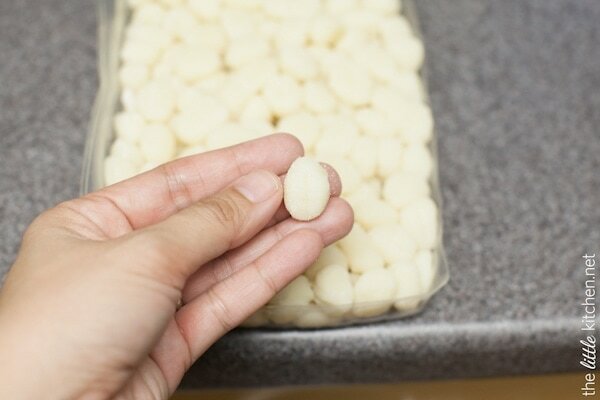 I chose mini gnocchi for this recipe. Aren’t they cute? 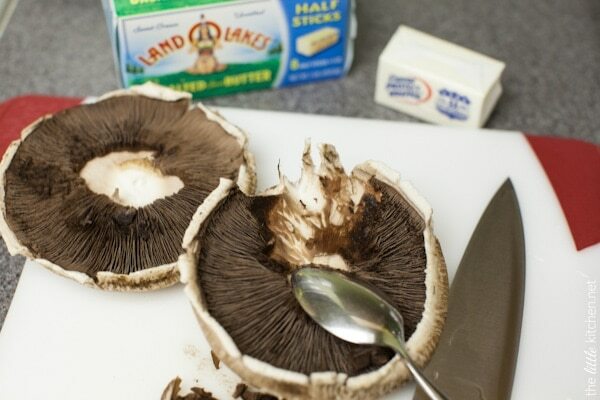 Remove the gills from the portobella mushrooms. 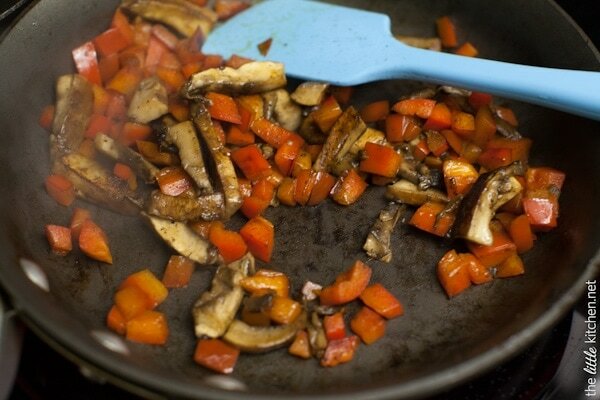 Return the skillet to the stove and add 1 teaspoon of the brown butter, the chopped peppers and sliced mushrooms. 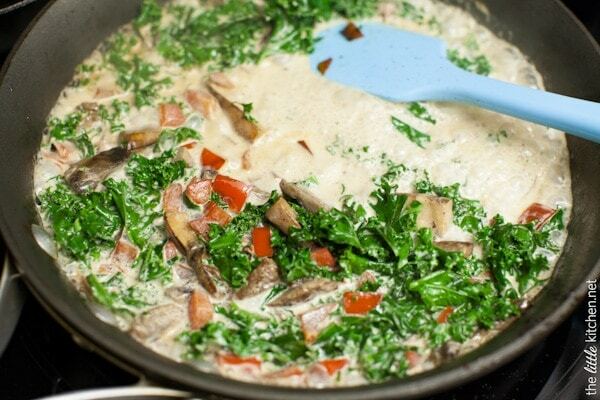 Cook for a few minutes, until the mushrooms are cooked down. I love that kale is bright green! Add the cream and the brown butter and allow it to simmer for a couple of minutes. This is definitely a version of really fast comfort food. 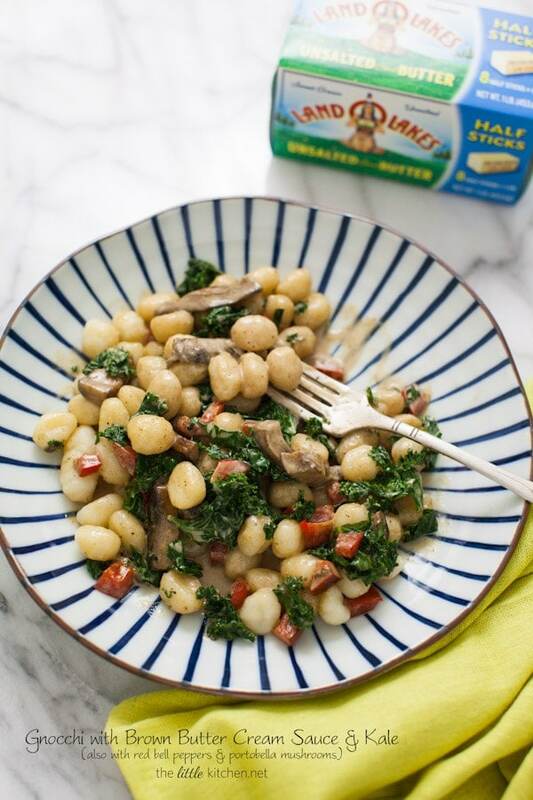 I love the gnocchi paired with the nuttiness of the brown butter and the cream makes it a teeny bit rich…but the rich flavors are are balanced out by the kale, mushrooms and the peppers. And even better, it tastes great reheated the next day! And remember, by pinning this recipe, you donate 9 meals to Feeding America®. For every Land O’Lakes recipe that is pinned or repinned between March 28 and May 31, 2014, the Land O’Lakes Foundation will donate $1 to Feeding America®. Help us reach the goal to donate of 2.7 million meals. Visit landolakes.com/Pinameal. 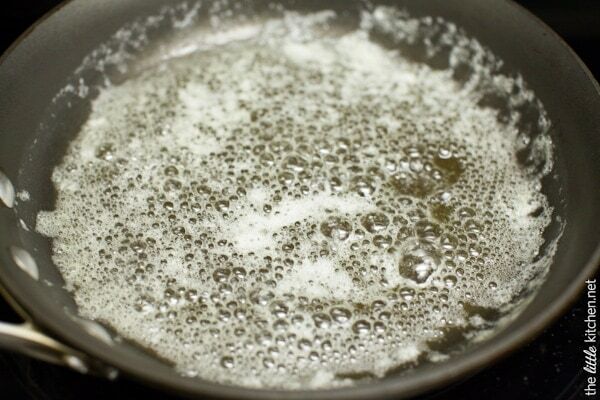 In a nonstick skillet, melt butter on medium heat. Then cook for 3 to 4 minutes until brown. Remove from pan. Return skillet to stove and add 1 teaspoon brown butter. 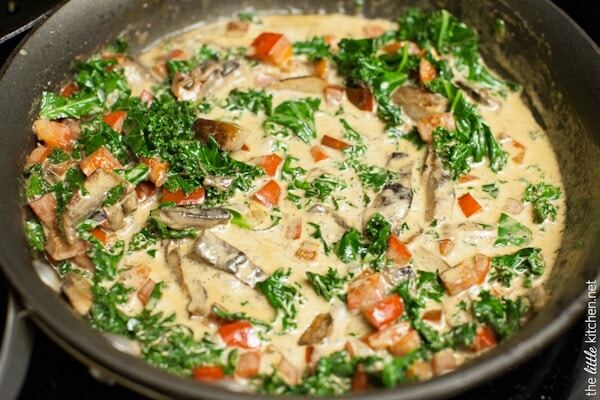 Add mushrooms and red peppers. 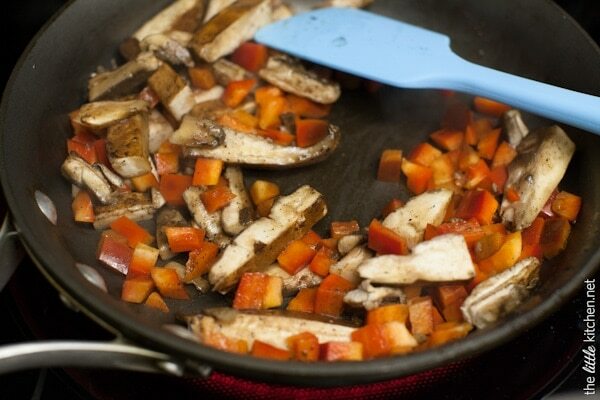 Cook for 3 to 5 minutes (stir occasionally), until mushrooms are cooked down. 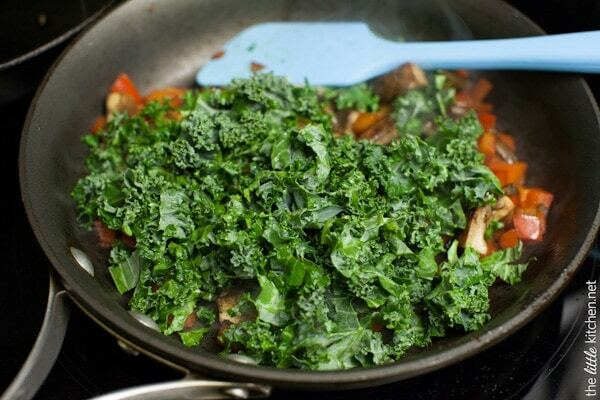 Add kale and cook for 1 to 2 more minutes, until the kale is bright green. Add cream and the remaining brown butter back to the pan and stir. Simmer for 3 to 4 minutes, stirring occasionally. Season with salt and pepper. 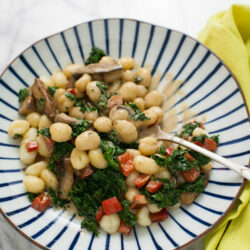 Serve sauce with gnocchi and topped with Parmesan cheese. Note: This dish actually is great as a leftover. It reheats fantastically. The kale is a little more wilty than fresh from the stove but it tastes great!